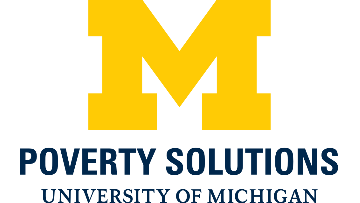 Poverty Solutions at the University of Michigan is an interdisciplinary initiative that aims to become a leader in informing, identifying, and testing new strategies for the prevention and alleviation of poverty in Michigan, the nation and the world. While rooted in an understanding of the causes and consequences of poverty, the focus of Poverty Solutions is an action-based research agenda. Poverty Solutions partners with community and policy makers to inform and test strategies for the prevention and alleviation of poverty. For additional information about the initiative visit poverty.umich.edu. Poverty Solutions is seeking 1-2 postdoctoral fellows. Applications will be reviewed on a rolling basis, with first-round interviews conducted in January 2019. Interested applicants should apply at http://apply.interfolio.com/58699 .